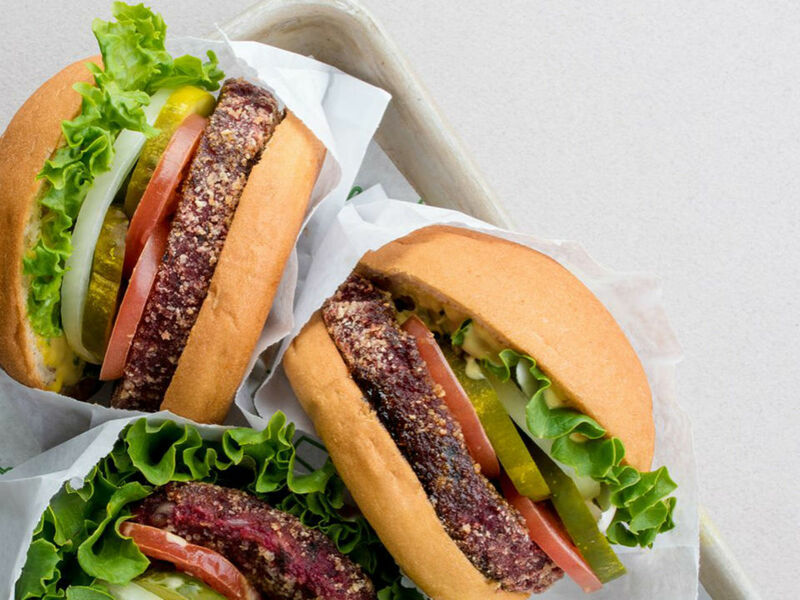 In major burger news, the Shake Shack burger chain has added a new item to their notoriously limited menu: a veggie burger. 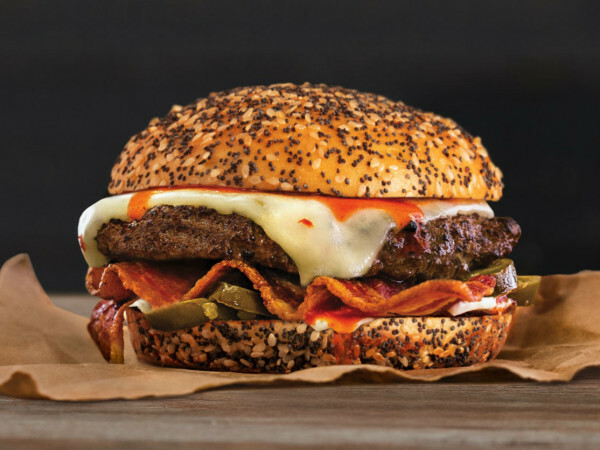 Called the "Veggie Shack," the burger is being unveiled at most of the nine locations across Texas on June 25, including the three locations in Dallas at Uptown, Preston-Royal, and Plano. Made from black beans, brown rice, and roasted beets, the veggie burger comes with provolone cheese, lettuce, tomato, onions, and pickles. This veggie burger is vegetarian, not vegan. However, it can be made vegan by ordering without cheese and on a gluten-free bun. According to a company spokesperson, the Veggie Shacks are cooked on a non-meat section of the griddle, which is separated by a partition so the griddle spaces do not touch — something that matters to many vegans. Veggie burgers generally fall into two camps: black bean, or else grain, such as rice, barley, or quinoa. 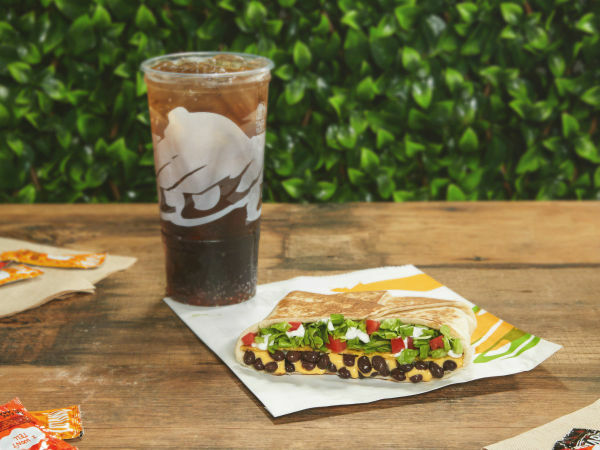 Shake Shack splits the difference, borrowing from both camps by combining black beans and brown rice. 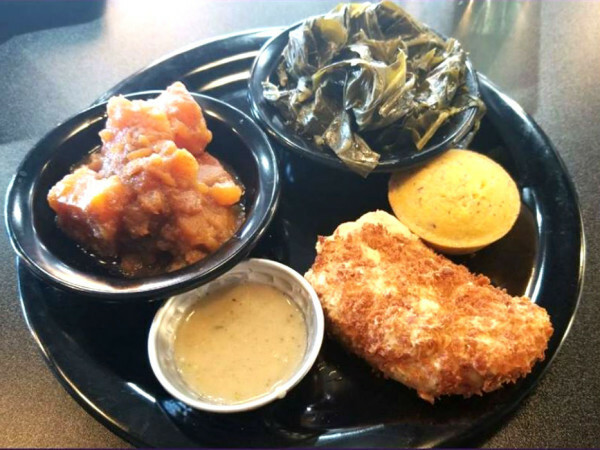 The third ingredient, beets, is one pioneered by the Houston's chain. Beets are a savvy addition. Their color and moisture can help give a veggie burger the red appearance and soft, moist texture of rare beef. Houston's incorporation of beets has a lot to do with why its veggie burger made our list of Best Veggie Burgers in town. But Houston's does a better job with its use of beet, on a number of fronts. For one thing, Houston's serves its veggie burger on a large, soft bun that tears easily as you take a bite. Shake Shack's potato bun is weirdly chewy, and has a stronger texture than the veggie patty itself. So when you bite down, the patty slides around. For this reason, even if you're not into veganizing your burger, it's still a good idea to get the GF bun, which breaks away more readily and allows the burger to stay intact. The Veggie Shack patty's two dominant flavors are raw white onion and cumin. It also has an underlying sweetness, both from the beets and from another ingredient, pureed dates, whose sticky texture also acts as a kind of glue to help bind the patty together. Unfortunately, using cumin as a flavoring in a veggie burger, especially in conjunction with the use of black beans, is a dull, old-fashioned, hippie choice. Is there no other seasoning for a burger made from black beans? Prior to cooking, the patty is brushed with hoisin sauce — more sweet — and coated with gluten-free rice-based crumbs which create a thin outer crust. Their goal is to recreate the crisp edge on a regular burger. But it's delicate at best. In addition to the white onion, the burger comes with lettuce, tomato, and pickles; they inject the same bright notes they add to a regular Shake Shack burger. The provolone cheese has a mild, non-interfering, subtly nutty flavor. It seems like they chose it more for its meltiness, the way it hugs the burger and gives it body, than for its flavor. One of the best things is the clever mustard-mayo combo spread, and it's already vegan, making the burger that much easier to veganize. Culling influences from here and here, the Veggie Shack does not break new ground. But it stays true to Shake Shack's profile: mildly-chef-driven, proficiently done. It's a nice light alternative to their regular burgers, with a pleasing quintessential burger-like array of flavors, and it gives vegetarians another option. For what is basically fast food, it's not cheap: With (their notoriously dumb crinkle-cut) fries, it comes out to $11.